Are you interested in learning more about what we do? Do you wan to learn about marine animal conservation? Or do you want to learn about how you can become a student in our program? Join us for the UF CVM Open House on April 13th 2019! So what activities will we have available? Get your family photo with a life sized North American Right Whale. Challenge your children to play aquatic animal conservation games to learn more about the challenges these animals are facing. Become the Vet in our manatee hospital! 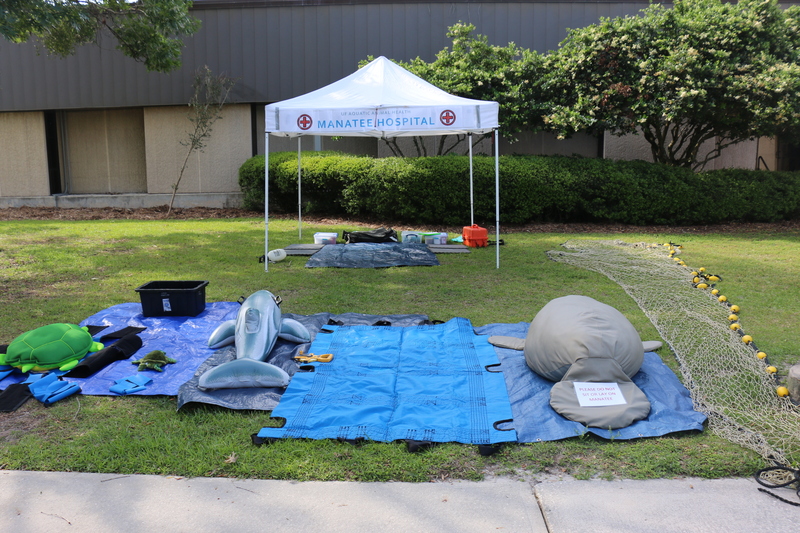 Be immersed in a mock stranding response and health assessment of a manatee to find out what our veterinarians go through to help sick/injured animals. Learn about our program opportunities, equipment used in this field , and marine mammal bone artifacts. We will have something for everyone, so come check us out! We hope to see you there!